Elumatec Australia is a subsidiary of this German manufacturer of aluminium profile fabricating machinery, with offices or representation in all states and New Zealand. On display at the Elumatec Stand at the Austech Trade Show will be some examples of the company's CNC Machining Centre range, which is a token selection from the complete range of Mitre/Double Saws, Copy Routers, Length Stop Systems, End Milling Machines and Specialised Equipment, suitable for both window and door production and various engineering applications where aluminium profiles are used. The SBZ122 will be on display at STAND H70. 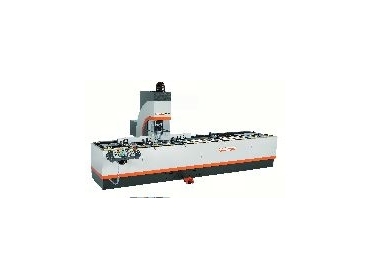 It is a machining centre with the possibility of three sides processing for automatic door manufacturing with single or multiple locks or other industrial applications. It is capable of automatic tool change with five tool holders for four tools and one rotating angle. A stationary turning device allows the adjustment of the rotating angle head for 0° and 180°. Therefore a profile can be processed from front and rear with two different tools.